Once again thank you for visiting this site. For readers, you are encourage to send us your suggestions, reviews, complaints, inquiries and any questions through the Facebook page or Email. Any suggestions to enrich the site contents are welcomed. For any public transport operator, you can send us invitation to do reviews on your services through our email. We are welcome to report any news from you. Today 11/03/2011,around 11:05am i cheat by the tickets seller of METROBUS 12 BANGKOK BANK ⇌ PJ SS2. The bus is from pj section 17 to ss2. I wish to go to the university lrt station so i wait in front of KDU college at section 17,as this is the 2nd time i took bus at pj,I'm not sure whether the bus will go to the lrt station or not,so i ask the malay bus driver.Then the Chinese tickets seller call me come up and told me that there is no any bus which do to lrt station will stop here(but last time i did took a bus direct to lrt station! ),you should go to the other bus station and take the bus there to go lrt station...But when i want to go down,the bus already move. The tickets seller really should be fired! may i know that the 'cepat express' which go to ipoh is 12.30am, thats mean is midnight or afternoon? what is the contact number of s & s international? I have to go from KLIA to Malacca on this Saturday. It shows on this online ticketing website that there are two buses scheduled in the afternoon (2:15pm, 4:15pm. However, it shows on Transnasional's main website (www.transnasional.com.my)that the 2:15pm one does not exist, i.e. the 4:15 pm is the only available bus in the afternoon. It's very confusing! Which one is the correct schedule? Please follow the Transnasional website. Routes information here are just a guide. The operator sometimes will change the schedule. Did you know the time of the earliest bus for setapak/wangsa maju area? It can be as early as 6am. I got send you guys an email please check it out. 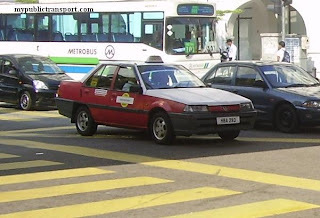 My dad's car (a perodua Kancil) was knocked by a Metro Bus driver along the main road passing Puchong IOI Mall yesterday (Aug 1st 2011) between 5.10pm-5.20pm. The Metro Bus number is BGD5712. The bus was speeding and swerving to overtake and in the process knocked on my dad’s car. Door was dented and side mirror smashed. My dad managed to stop the bus as traffic had bottle-necked toward the end of the main road. My dad demanded explanation and compensation process from the driver. The driver and ticket assistant bullied my dad by scolding and saying that there are no witness and said my dad go can complain to Metro Bus however he wants. The driver and assistant said they don't care as the company (Metro Bus) is big and has lot of money! My dad could not do anything but felt helpless in front of two young bullies. The driver and assistant then sped off without any apologies! Is this how Metro Bus hire and train their employees??!! 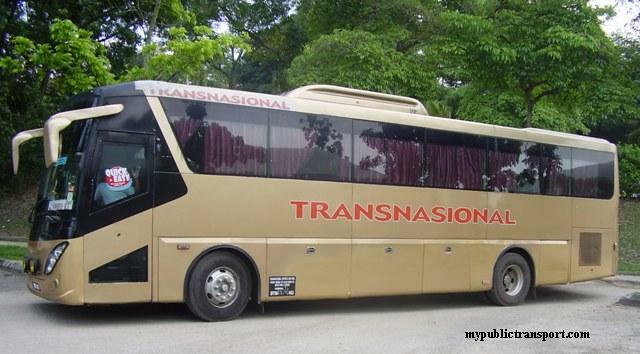 A bus company is to provide convenience and to move the public, not to bully people!!! These kind of drivers should not be employed as they put a really bad name to the state of public transport and a danger to public safety!!! I would like to complaint the driver of metrobus and the conductor as well. Driver--So many time they smoke in the bus. None stop them. Besides, they drive so fast everytime just because they want to "win" the rapid KL..They never think of the passenger's safety. Hi! We are a local business newspaper. Currently we are working on a story on SMEs in public buses services.Can you share your insights with us? Thanks! the last bus go to kuala lumpur is what time??? 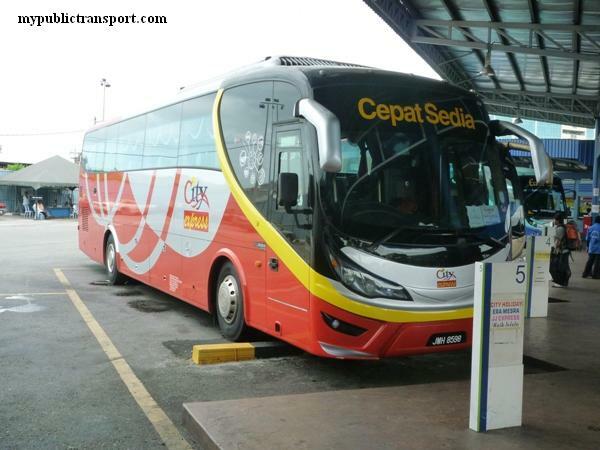 what bus do i take from ioi puchong to Jalan Bersatu 13/4, Section 13, 46200 Petaling Jaya? You can use SKS KL bus but we not sure when is the earliest. I need to go to Mantin, Negeri Sembilan (Legenda Kolej) tommorow by 10.30am. I am staying in Shah Alam. Nearest Terminal will be Shah Alam or Kuala Lumpur Sentral. Pls suggest best bus route for me. 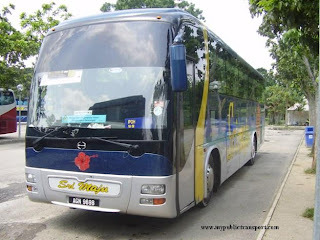 I'd like to know the updated info about bus from Larkin Terminal, JB to Senai Airport. I've been searching and got a lot of out-of-date info. Please let me know besides Causeway Link, is there any other buses going to Senai Airport? What are the bus companies? Any schedule and timetables could provide? Urgently need!!! Please help!!! Thank you very much! can i know that is any bus go and return between jalan 20/7 and sunway giza mall ? 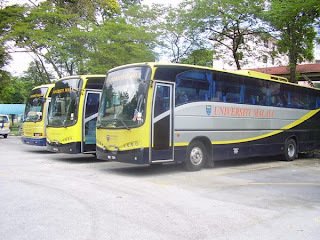 hi..I want to know which bus goes from midvalley to banting. The driver always horn in the Tarc College area. It might affect the sleeping of student in housing area especially in evening and morning. Hope that you can slove this problem by traning your workers to be polite when pushing on horn. 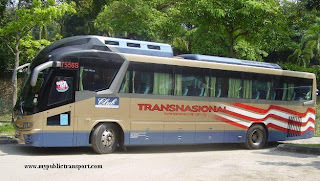 hi may i know is there any coach to kuala perlis from kualalumpur @ 0930 morning.? Hi, the earliest bus is 10.30 morning. You can book the bus ticket from out site. Train will be very slow and I suggest you to use express bus from Puduraya to Butterworth or Kuala Perlis. 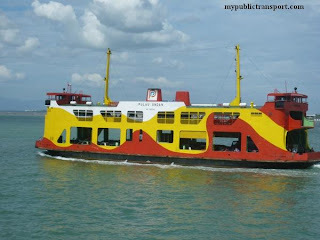 If you go to Butterworth, you can use ferry to Penang and use another ferry to Langkawi. If you go to Kuala Perlis, you can find a direct ferry to Langkawi. Bg la no contact cepat ekspress di butterworth. 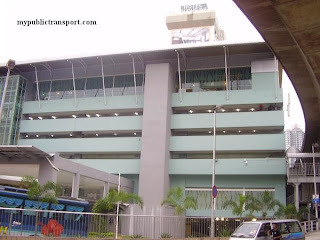 Hi, I'd like to go to Puchong (bus stop infront of hotel/in the other side of IOI Mall). I will arrived in LCCT at 5.30 pm, then take transit bus to KLIA. From KLIA, can I take KLIA transit to Putrajaya staation ? From there, which bus should I take to Puchong that I mean above ? Or, is there any other option so I can get there in faster way ? Please help me. Is there necessary for you to go Putrajaya? If not you can use KLIA Transit from LCCT (the shuttle bus will fetch you to Salak height) to KL Sentral, then use RapidKL U60/U69/U70 to IOI Mall. hello..may i know last bus operating on sunday?it's for rapid kl bus..is it true 12p.m?or actually 12 a.m?if 12 pm means 12 noon?please help me.. It is 12 mid night. can i know whether metro bus num 99 will go from jaya33 to lrt university and vice versa or not?and what time is the last bus? Yes. The last bus is 11pm. at tbs,i take ktm to kl sentral is how much? It costs you Rm1 from TBS to KL Sentral. From KL Sentral to Taman Desa can use U72, roughly 20 minutes. If you use taxi from TBS to Taman Desa, it is probably around Rm15-20. I am still very upset about the incident that happened last Friday. I was basically shouted at and treated so rudely by the bus driver..all because I bought the ticket online and only have the confirmation slip you get when you buy them online. Why is it such an issue? other buses are fine with us providing just this slip since it has the traveller's IC, seat no and everything. And if its such an issue, the counter should have been opened longer. I actually arrived at Putrajaya Sentral 30 mins before my departing time. The whole point of buying the ticket on line is to ease the travellers.. I really hope Cosmic will listen to my complaints and take action especially against their rude drivers. How ist the best way to go there? My train station ist: LRT Taman Bahagia. Hi, you can take RapidKL T626 to Damansara Uptown, then change to Metrobus 99 or RapidKL U88 to Tropicana Medical Centre. Hi, can I know which part of Thai you are heading to? Hello! May I know how to go to Setia City Mall from Wangsa Maju? Thank you. Hi, you can take LRT from Wangsa Maju to KL Sentral, then take KTM to Klang. From Klang bus Terminal, take Seranas bus 19 to Setia City Mall. hi, may I know how to go to Commercial Southgate (Jalan Chan Sow Lin) from Lebuhraya Silk (opposite The Mines)? I'm from Balakong area. Hi, you can take RapidkL U41 or Metrobus 22 from Balakong/Silk to Southgate Commercial Centre. 22 will use go pass Jalan Sungai Besi but it is not far from Jalan Chan Sow Lin. Hi, if i take a train from KTM klang to Kg Dato Harun station, it's that have any bus will go from there to bandar puteri puchong? No, you can take KTM to Mid Valley and take the mentioned bus to your destination. 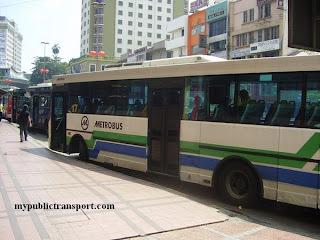 Hi, may i know still got metrobus 19? Metrobus 19 is stop servicing currently. hi, may i know how to go to LRT Bangsar from KTM Serdang? Take KTM from Serdang to KL Sentral, then take LRT to Bangsar. Sir, how to go from klang sentral to kl sentral by bas? Hi, you can take RapidKL U90 to Section 2 bus hub, then take RapidKL U80 to KL Sentral. Sir, RapidKL U90 at which terminal in Klang Sentral? Hi, you can find it easily as it is located out of the terminal but within the compound of Klang Sentral for the stages bus, usually can be seen with Seranas Bas. If you see Seranas Bas 19 is there, you can take it to Klang town and take KTM to KL Sentral. Hi. May I know how to get to Menara Trend Jalan Batai Laut Klang, from KTM setia jaya? Hi, you can take Cityliner 710, Causeway Link 58k or Seranas 99 from Federal Highway to Menara Trend. 710 may stop at Jalan Batu Tiga while the others you can stop at Federal Highway and walk to Menara Trend. subject: Stealing ticket fees from person in charge. Please be aware that the buses line from Chow Kit to UIA University (Buses number 91) are sometimes take the money and didn't give the tickets to the passengers. This situation will destroy the economic status and let the person who responsible for tickets to become a thief in public. Please control this situation by sending some anonymous people from your company and let them watch and monitor. Hi, sorry we don't own Metrobus. You can always report to Metrobus by using the contact number written on the bus. Salammmm saya nak bertnya ada bas dari kota tinggi ke serembn xxxx..plz urgentt..
Hi, may I know how to get to southgate commercial centre from kl sentral? Hi, you can take LRT from KL Sentral to Masjid Jamek, then take Ampang Line to Chan Sow Lin station. From Chan Sow Lin, you can walk to Southgate Commercial Centre. From 1-Dec-20155, many bus routes in the Klang Valley have been re-arranged, re-numbered and even cancelled by the govt, catching many by surprise. Your website has been doing a splendid job so far providing guidance on the practical usage of the Klang Valley bus services, bravo! When can you update the bus info to the latest changes to help the forsaken lost souls who are the public transport users? Hi, we hope we can come out something useful in 1-2 weeks time. In the mean time, please just drop the question regarding the latest routes, I will try my best to answer. Hi, it is within walking distance, about 15 minutes walk. Today bus QISTNA EXPRESS SDN BHD，the coach from Larkin at 6.30pm will be delay at 10.30pm，How they inform us wihtout before 24hour, is it they pay compesation to us ? Today bus QISTNA EXPRESS SDN BHD，the coach from Larkin at 6.30pm will be delay at 10.30pm，How they inform us wihtout before 24hour, Has Coach Company pay compesation to us ? Can you provide the alternative way to solve the problem ，does the passenger have to wait 4 hours at the bus stop? Hello! May I know how to get to SS3/29 Petaling Jaya from SS19 Subang Jaya? Thank you. Hi, you can take 771 from SS19 to Asia Jaya (Federal Highway), then walk to Asia Jaya LRT station and take LRT to Taman Bahagia, then take T783 from Taman Bahagia to SS3/29. Hi, you can take 771 from SS19 to Federal Highway near Hilton Hotel/Asia Jaya, then walk to Asia Jaya LRT station and take LRT to Taman Bahagia. Then you can take RapidKL T783 from Taman Bahagia to SS3/29. 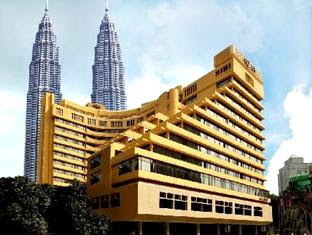 Hi.. may i know how to get from kl central to klang central or whichever bus stops near hospital tengku ampuan rahimah? Urgent.. thank u.
Hi, you can take KTM from KL Sentral to Klang, then take Cityliner 730 from Little India to Hospital. kalau dari Damansara Damai nak ke Kota Damansara saya perlu ambil bas dari mana ya? Hi, you need to take Selangor bus 103 to Kepong Sentral, then take RapidKL 801 to 1Utama, then take RapidKL 780 to Kota Damansara. Hi, you can take Maju Bus IM06. It is like every 45 minutes. 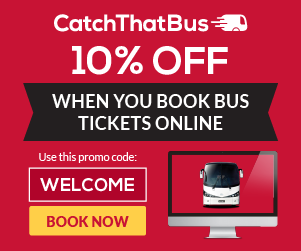 Hi, you can book the ticket using the booking tool on our site. Hi may I know what bus can I take from hospital tengku ampuan rahimah to klang bus station? And when is the earliest bus available? Is there any schedule? Hi, you can take Cityliner 730, it is from 6am in the morning, about every 30 minutes. Hi, can we communicate via Fb? 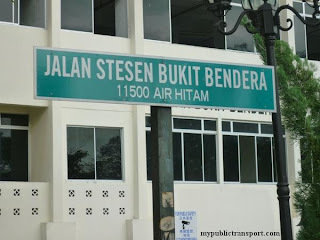 Is there any stops along the way from hospital tengku ampuan to klang bus station? excuse me ? how to go muzium negara from selayang baru ? Hi, you can take SJ Bus 151 to Chow Kit, then take GOKL red bus to National Museum. macam mana nak pegi Pasir gudang dari Batu Pahat? Hi, you can take an express bus to Larkin, then take 224 to Pasir Gudang. Hi, you can take Cityliner 730. Hai..I would like to know which transportation should i take to reach taman tun dr ismail from jalan ipoh. 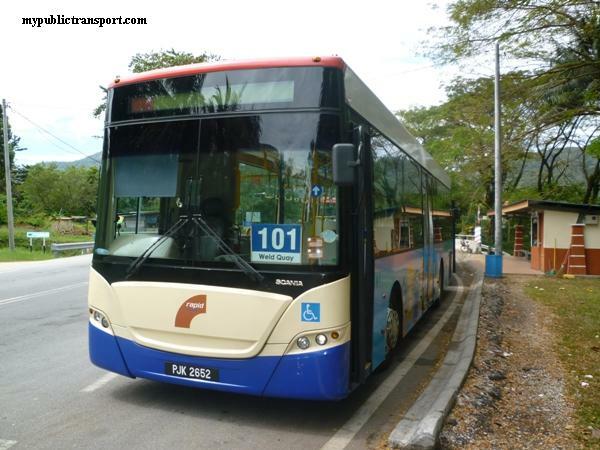 Hi, you can take KTM from the nearest station to KL sentral, then take RapidkL 800 to TTDI. may i know how do i go to southgate commercial centre from any nearby lrt station.Is there any bus going there that i could take? Hi, you can walk from Chan Sow Lin LRT station. Hi. May I know which bus station I should take off if I want to go to Mac Food Service Sdn Bhd from Summit USJ? Thanks. Hi, you can walk to USJ 7 BRT station and take BRT to Sun-U station, then you can walk to Mac Food. I my daughter will study in Banting, selangor matrikulasi in next month, may I know how to get bus from Teluk Intan, Perak to Banting, Selangor? Hi, you can take Teluk Anson express to Pudu Sentral, then go to Pasar Seni and take 700,701,710 to Klang. then you can take 730 from Klang to banting. From banting, please take Cityliner T731 to Selangor Matriculation at Sungai Buaya , banting. May I know how to get to Mighty White Bakery (Balakong Jaya) from KTM Serdang? Which bus should I take? Hi, you can take T571. Hi, there is no bus stop near there so you can't stop at there although the buses pass by there. Hi. May I know how to get to Jalan Bersatu 13/4 , 46200 Petaling Jaya from Kepong Sentral? Which station do I go to? Thank you! Hi, you can take Selangor Bus 100 to SUngai Buloh MRT, then take MRT to Phileo Damansara, then you can take T786 to Jaya One and walk to Jalan Bersatu. Hi..Can I know what the last schedule time for the bus from Banting to KL?..Is it at 8pm from Banting?..And where the bus will drop out the passenger?..Can they dropout at TBS? 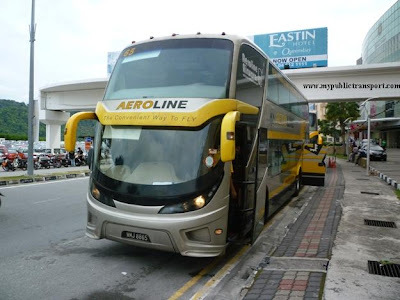 Hi, the last cityliner bus from Banting to KL is around 8pm. The service ends at Pasar Seni, you can then take LRT from Plaza rakyat to Tasek Selatan. What RapidKL bus number to take from Pasar Seni bus station to "BSP 21, Persiaran Saujana Putra Utama, Bandar Saujana Putra 42610 Jenjarom, Kuala Langat, Selangor Darul Ehsan"? Hi, you need to take Cityliner 734 from Pasar Seni to Jenjarom. 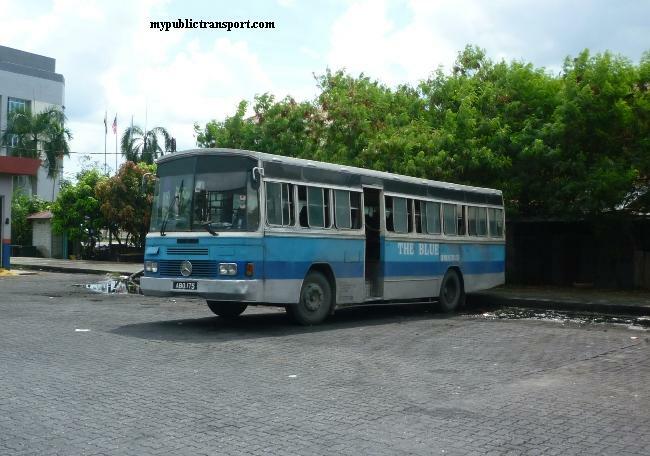 From Jenjarom, what type of bus and what bus number to take to reach BSP 21? 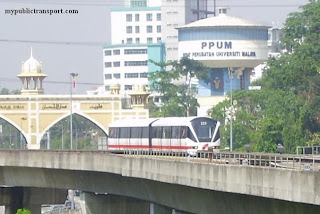 To Saujana Putra, you need to take Nadi Putra BET 15 from Putrajaya Sentral.